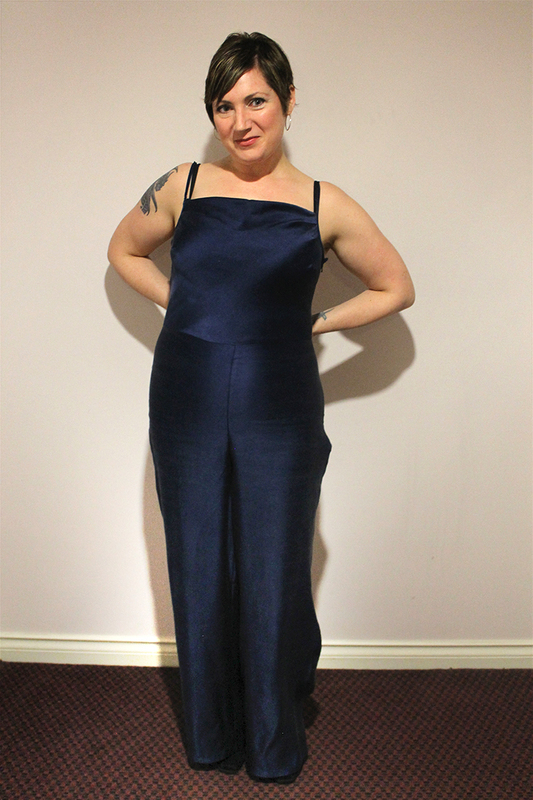 And here, my friends, is my TRUE holiday outfit – the By Hand London Holly jumpsuit. Continuing the tradition from last year with my Anna dress, the moment I laid eyes on this pattern, I was in LOOOOOVE!! I immediately purchased a good length of sumptuous navy blue silk duchesse which for once went right into use rather than lingering in my stash LOL. Holly did not let me down – like my beloved Anna, she was a joy to sew as well as to wear. I was suspicious of her wily ways at first, knowing full well I would have to make alterations to the pants bit, but she surprised me by fitting perfectly with just the slightest waist adjustment – beauty!! I also did an FBA as per usual, and because I have to do a fairly big one, instead of rotating the extra bits into the cowl, as suggested, I chose to keep the bust dart. Super glad I did this, as it works well for me, and I would prefer not too much extra fabric draping around the girls. The only little thing I would do differently next time is to finish the whole bodice top the same as the front cowl – with a turn, press, turn and catch stitch. The pattern calls for a bias finish where the bias turns into the straps but a) I found this far too fiddly for my taste, and b) sorry, but a bias strip isn’t nearly wide enough a strap for my chest LOL. I would prefer it to be just a little wider, so I would draft and sew separate, slightly wider straps next time I make this. Which there WILL be another time, in fact, I love the fit of the pants so much that I am going to be making a pair out of a lovely lightweight grey wool suiting. I am going to try and drop the waist and draft a new waistband though, as I prefer my trousers to sit below the waist. Will let you know how it goes. While working on my planned holiday outfit this year, I came to the realization that a) I might not get completed in time, and b) I wanted something more modest for my staff party than I had originally planned. 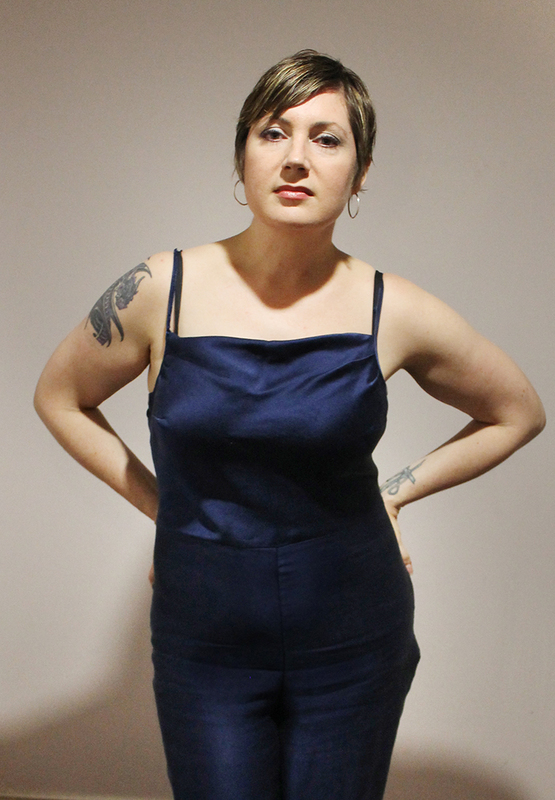 I just love this pattern – not much new to say on it as I’ve already done the fit adjustments before – all I did differently here was to shorten the sleeves.